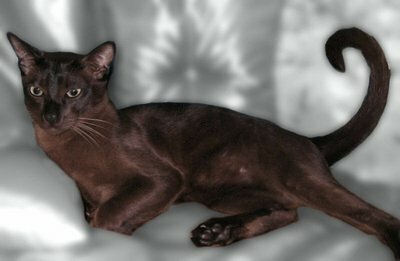 Shown here are mature examples of the three coat-pattern variations of the Brown Tonkinese, click on a picture for an enlargement. Tonkinese are usually easy to handle, but if the cat is less than relaxed coming out of the pen it should be placed on the judging table. 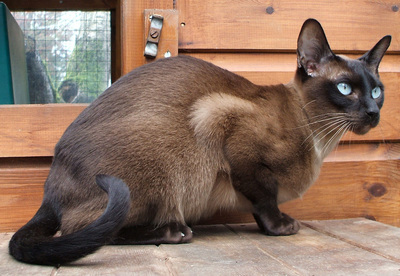 Judges and stewards should be aware that Tonkinese, in particular the males, are usually heavier than they look. Please do not bend the tail over or around the cat to assess its length. Run hand down spine from shoulders continuing along the tail to check it balances with the body. In April 2018 The Tonkinese BAC produced a Tonkinese Judges' Guide Booklet, which was posted to all Judges on the Tonkinese list at the time. A .pdf copy is available from the Tonkinese BAC web site - see link below. 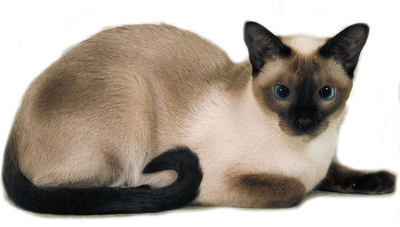 For more information on the Tonkinese visit the Tonkinese BAC's Page.